In the immediate-term, we train adult professionals on grassroots mobilization, civic advocacy, and community organizing—including mentoring them on how to launch their political careers—through our Public Service Fellowship program. Our longer-view, more systematic approach is to educate American Muslim youth on civics and leadership. In both cases, Jetpac removes the ambiguities of the political process and equips trainees with the tools they need to bolster participation in politics. Jetpac is committed to empowering American Muslims in the democratic process. We do this with our hallmark Public Service Fellowship, and our Youth Training program. If you want change, run for office. This was the “open call” Jetpac made to American Muslims shortly after Inauguration Day 2017. 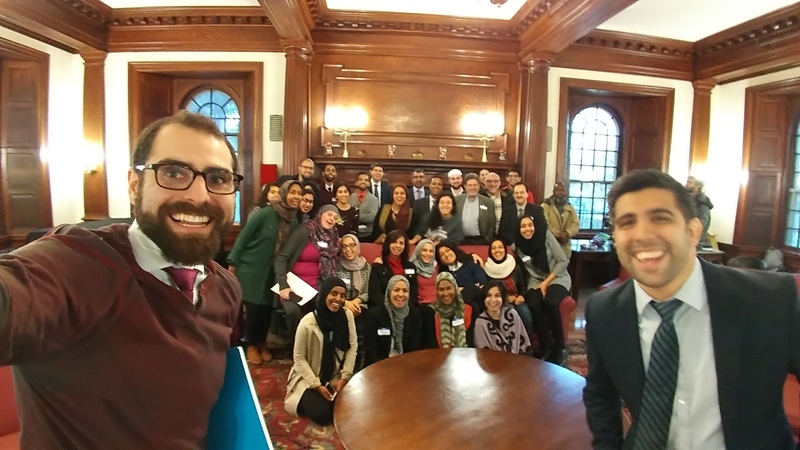 In one day, we received over 100 applications to our Public Service Fellowship from American Muslims and minority allies wanting to make a difference. Jetpac’s hallmark Public Service Fellowship program is a personalized six-week political consultancy that teaches American Muslims everything they need to know about running for office. Our rigorous curriculum covers all aspects of campaigning, including how to reach voters, build effective local movements, leverage the right resources, overcome Islamophobic attacks, and more. Jetpac builds long-term political infrastructure by inspiring future generations of American Muslims to confidently engage in the civic process and pursue leadership. Our original AP-accredited U.S. Government and Politics course combines grassroots activism strategies with Islamic principles while teaching the fundamentals of American democracy. Our AP course showed such success at Al-Noor Academy in Mansfield, MA that the enrollment tripled after the pilot semester. We have growing interest from schools across the country to implement this curriculum. In early 2018, we will scale our AP course into a weekend-intensive training program, which will provide high school students with the tools to become more engaged citizens and to navigate and combat Islamophobia. We are currently organizing with community centers across the country to introduce this program to a community near you! If we wish to carry this movement beyond today’s political climate, we must educate our children and encourage them to be civic leaders—as our previous generations were encouraged to be doctors, engineers, and entrepreneurs. Click here to learn more about these awesome programs and apply to be an intern, fellow, or volunteer.